Indigo Run Plantation is a 1,775-acre, private residential golf community located on the north end of Hilton Head Island, SC. It’s north end location makes it convenient to schools, shopping, dining, and entertainment both on and off the Island. Prices for Indigo Run Plantation real estate fall into the moderate to upper price tier. 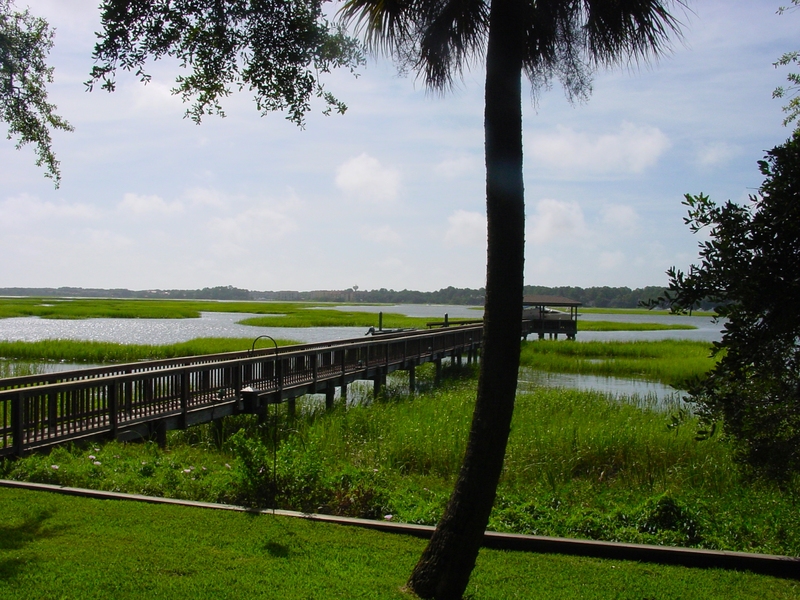 Home sites are located around the golf courses and at the waterfront Indigo Run River club, bordering Broad Creek. The centerpiece of this residential community are the two Jack Nicklaus Signature golf courses. The Golf Club at Indigo Run. Home buyers looking for a primary or secondary home may also be interested in Berwick Green, a small development of exclusive town homes. Marina – day dock for residents at the River Club. Access – Controlled, residential/club areas private to owners/guests. Clubhouses – There are two Clubhouses. The membership and privileges are based upon where you reside within the plantation. Sunningdale Park – In the heart of the community is an exclusive recreation area reserved for residents and their guests. Within the landscaped complex you will find an Olympic sized pool, six tennis courts, a playground and other amenities. Tennis – Sixteen tennis courts are available at Sunningdale Park with clay and hard surfaces. Four are lighted. There are additional courts in separate communities within Indigo Run. Golden Bear Golf Course — The first of Indigo Run’s two Nicklaus-designed golf courses, The Golden Bear has quickly earned a name for itself as one of the top-rated layouts on an island of top-flight designs. The Golf Club at Indigo Run —The Golf Club course is designed in a classic style that hearkens back to “Golden Age” creations like Pine Valley, Shinnecock Hills and Augusta National. This course was named “One of the Top Ten Private Courses of 1996” by Golf Digest, The Golf Club course is reserved exclusively for members and their guests. A private club demands excellent design and amenities and The Golf Club meets the challenge. This the first joint venture of Jack Nicklaus and his son, Jack Nicklaus II. Located mid-island, Indigo Run is conveniently located to activities on and off island. Affordable pricing, optional golf, and being one of the newest island communities make this a consideration for many newcomers who are looking for a home without weekly rentals nearby. Both the River Club and the Owners Club at Broad Creek are upscale extensions of Indigo Run and provide water and marsh vistas with some having dock access.